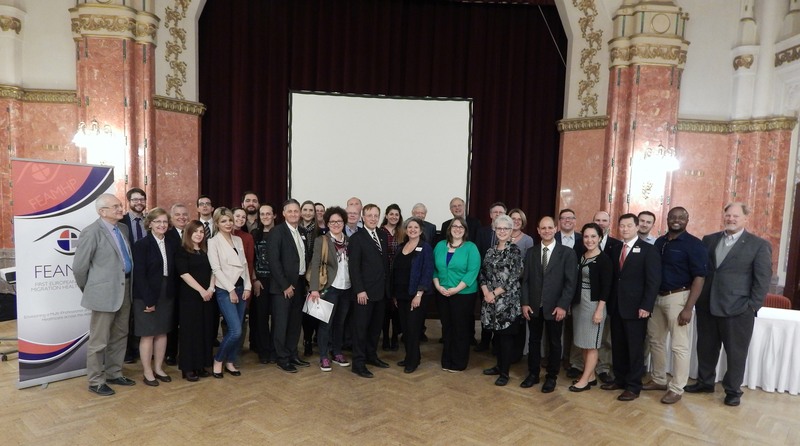 WellShare International was represented at the First European-American Migration Health Platform Workshop that took place last month in Pecs, Hungary. Eugenia Canaan (pictured left with Charge d’ Affaires David J. Kostelancik), former Program Manager at WellShare International, represented WellShare and participated in a panel discussion on migrant health, where she focused on the Community Health Worker (CHW) model. She provided examples of several evidence-based programs conducted with refugee and immigrant communities led by WellShare’s Community Health Workers. Examples included the Chronic Disease Self-Management Program, Matter of Balance, as well as WellShare’s tobacco prevention programs in the Somali and Karen communities. 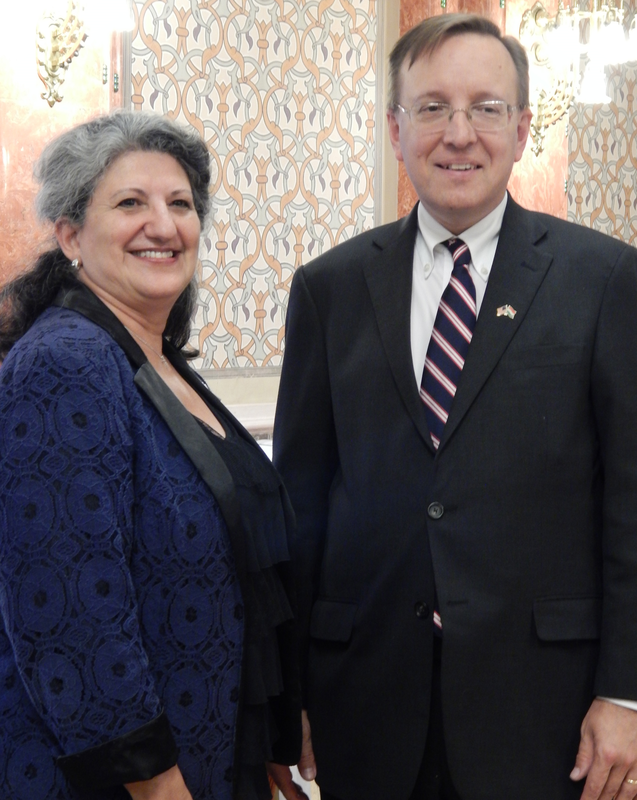 The event was co-hosted and co-sponsored by the US Embassy in Budapest and the Health Leadership and Management Development Institute, in scientific collaboration with the Department of Operational Medicine at the Medical School of the University of Pecs. A goal of the conference was to establish joint policy plans, procedures and actions to help promote a Migration Health Strategy foundation and a platform for implementation. A network of health professionals from various countries exchanged best practices and experiences and shared their common goals and expectations.